Muppet March against cuts to PBS Jump to media player Hundreds of people have taken part in a demonstration in Washington DC in support of continued state funding for non-commercial broadcasting. 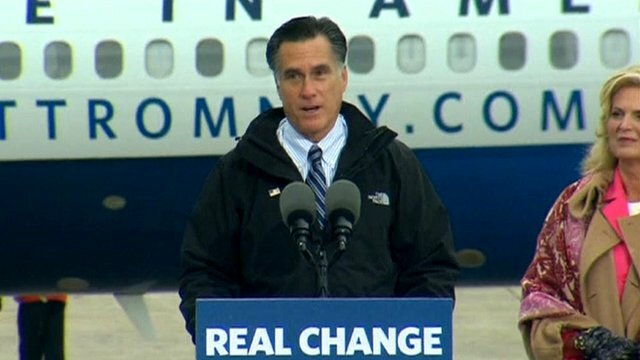 Romney: 'Obama has fallen short' Jump to media player Republican presidential nominee Mitt Romney tells crowds in Wisconsin that President Barack Obama has fallen short, as jobs data shows unemployment up slightly. 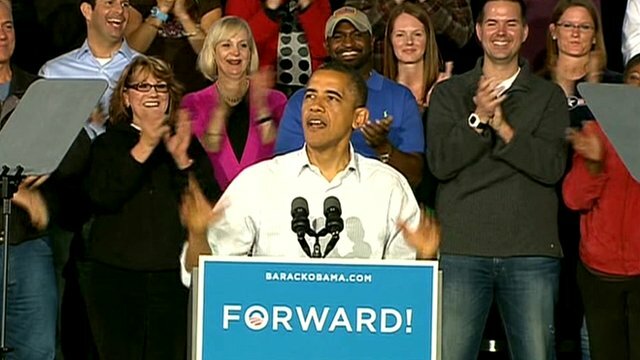 Obama and Romney in final campaign slog Jump to media player US Presidential candidates Barack Obama and Mitt Romney have embarked on a final frenzy of campaigning, in an effort to take advantage of the last weekend before the general election. 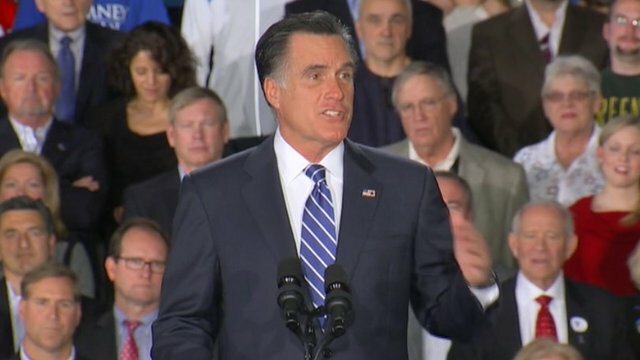 Romney: 'Can't wait to get started' Jump to media player Campaigning for Tuesday's presidential election in the US has entered its final three days., with Republican challenger, Mitt Romney, telling supporters in New Hampshire that he ''cannot wait'' to get started. 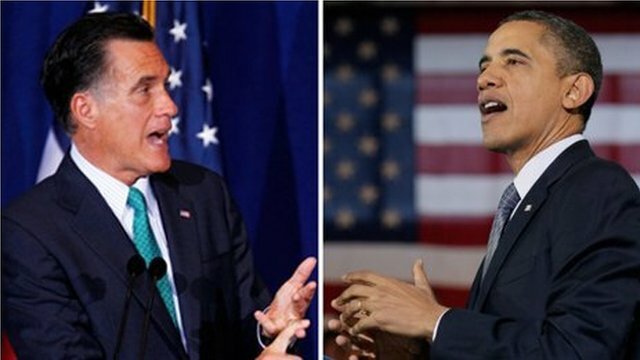 US rivals battle for swing states Jump to media player Barack Obama and Mitt Romney are spending the weekend in a frenetic round of campaigning ahead of Tuesday's US presidential vote. 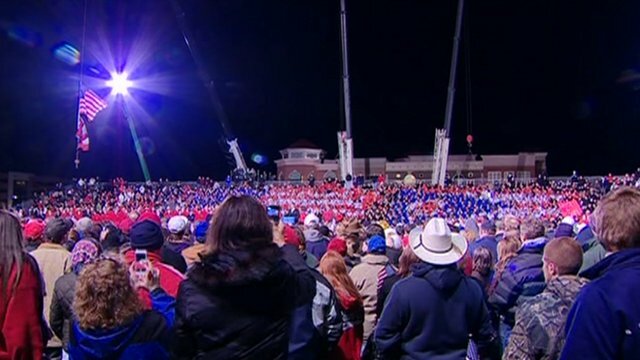 Obama in Ohio: 'Our fight goes on' Jump to media player Campaigning for Tuesday's presidential election in the US has entered its final three days with President Barack Obama telling supporters in Ohio ''our fight goes on''. 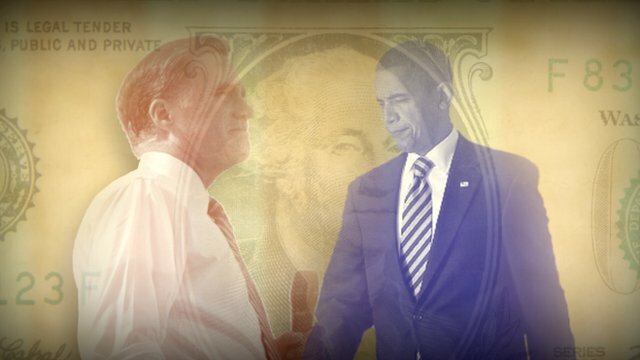 A $2.5bn election: Where the money comes from Jump to media player Why the US presidential election will cost $2.5bn (£1.5bn) explained in three minutes. Hundreds of people have taken part in a demonstration in Washington DC in support of continued state funding for non-commercial broadcasting. Some demonstrators appeared at the rally, named the Million Puppet March, dressed as characters from the children's programme Sesame Street, which is produced by the Public Broadcasting Service (PBS). 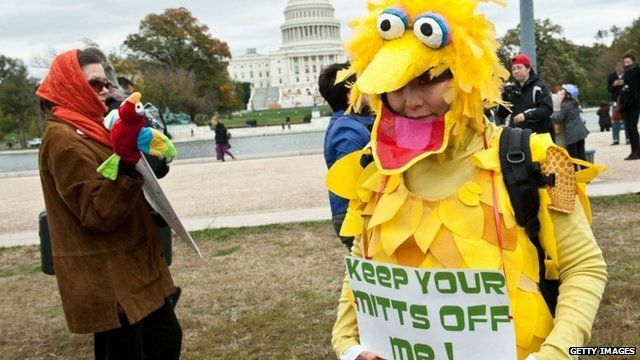 Republican presidential candidate Mitt Romney has pledged to end federal funding for PBS if he wins Tuesday's election.